Gene Harris (1933-2000) was the master of blues in jazz. A self-proclaimed "blues pianist with chops," Harris could sting the most un-blues-like melody and make it sound like it was written by Meade Lux Lewis and performed by Oscar Peterson. Since Harris' death in 2000, posthumous releases of previously unreleased performances have been steady but sparse. These include: Live at Otter Crest (Concord Jazz, 2001), Instant Party (Concord Jazz, 2004), and now Live in London. Documenting a 1996 London performance with a local rhythm section, Live in London find Harris at his most exuberant. 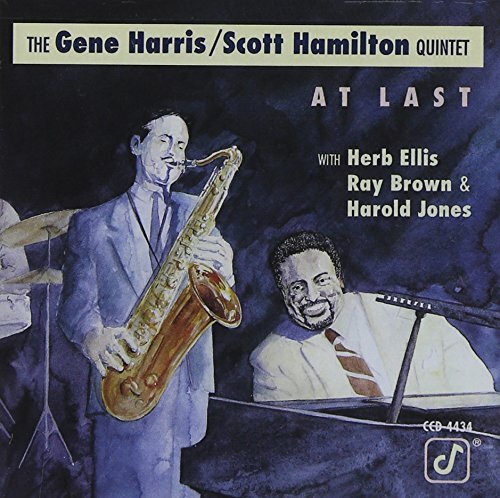 The set begins with an expansive "No Greater Love," with Harris introducing the piece with a length legato prelude before turning the tempo upside-down, giving the ballad the momentum of a freight train, albeit a happy one. Guitarist Jim Mullen sounds more rock than jazz, but does manage a clever Mozart quote ("allegro molto," from the "Symphony 40 in G minor") and several cartoon soundtrack quotes. An up-tempo "Blue Monk" provides Harris his first of three blues venues, allowing him and guitarist Mullen to display their considerable chops. This is where Harris is most at home, a steady romp through those twelve bars with a smile as big and fresh as his Idaho home. 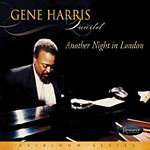 "My Funny Valentine" displays Harris invention in approaching a melody from the bottom side up in the same way as Erroll Garner in his salad days. The recital center point is the fifteen-minute "In a Mellow Tone." Harris, who states that he never plans set lists or performances, effectively conjures this Ellington chestnut out of thin air, employing the same introduction paradigm he used on "Valentine." He reveals the song covertly and then overtly. Harris uses his great sense of drama to build upon the melody, chorus by chorus, until he achieves the maximus of his orchestral style. Harris salutes Garner with a sensitive "Misty" before closing things with, what else, a blues appropriately entitled "Blues Closer." The Resonance Records website sports a brief interview with Harris where the pianist is revealed as a smiling, amiable giant interested only in playing music. 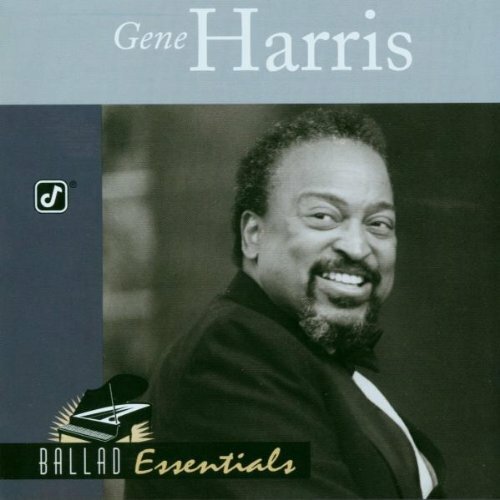 One must believe that there is much more unreleased Gene Harris out there to celebrate. Track Listing: No Greater Love; Blue Monk; My Funny Valentine; In a Mellow Tone; Misty; Blues Closer. 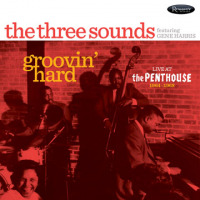 Personnel: Gene Harris: piano; Jim Mullen: guitar; Andrew Clyendert: bass; Martin Drew: drums.